Two great Christian movies both happen to focus on the resurrection of Jesus Christ. 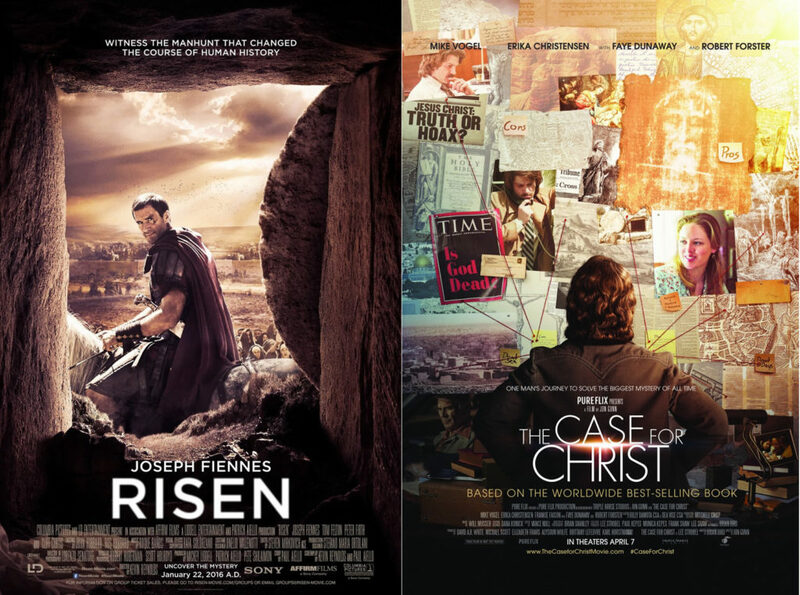 Why do two great Christian movies both happen to focus on the resurrection of Jesus Christ? Just once I’d like to see Christian movies that don’t require us to act like women at the “well,” if you catch my drift. These films vex many Christians due to poor acting and simplistic themes, but they’re also vexing because of the overwhelming praise and support they receive from our Christian friends and neighbors. Even those of us who dislike art snobbery find such praise disproportionate. 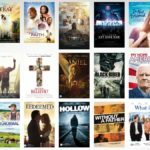 But within the past year, we’ve received at least two great Christian movies. I’ve seen the first, and not yet seen the second, but its reviews are stunningly positive, even from skeptics. And both films focus on Jesus’s resurrection. Last year, Risen brought the story of a fictional Roman centurion named Clavius. In this biblical drama, Clavius supervises part of Jesus’s crucifixion and then the burial of Jesus Christ. Which of course means he has his hands full when the body disappears and Pontius Pilate gets on his case, to get on the case of the century. 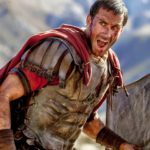 Risen isn’t like usual biblical dramas that cast biblical heroes as central characters. It works better because it’s about one fictional man, Clavius (Joseph Fiennes), and his reaction to biblical historical events. Before any of the “Bible story” parts begin, we see Clavius leading Roman soldiers against a troop of wild revolutionaries. He quietly, easily dispatches a zealot with a familiar name. But Clavius isn’t cruel. He’s a dutiful, professional officer of the law. When he shares with someone that he wants power and ambition, he’s only saying that. Like a good “noble pagan,” he reveals he’s a true believer in at least one false god, and longs for a day beyond war when he can salvage a quiet countryside and live the rest of his short life in peace. This film adapts the popular nonfiction book by Lee Strobel into a historical drama about his life, and eventual conversion to Christianity. Reviews from Christian movie skeptics, and secular reviewers, universally praise the film’s respect for its characters (Christians and atheists and in-between) and even its respect for the time period. So far, The Case for Christ won over a majority of critics who have reviewed it, according to the (hit and miss) aggregate review site Rotten Tomatoes. Just got home from seeing A Case for Christ. It’s a freak’n solid film. Good job @PureFlix ! While there’s obvious triumph for conservative viewers in the tale of a member of the “liberal media” coming over to their side, the film doesn’t bash journalists in the same way that The Resurrection of Gavin Stone felt the need to make all of Hollywood look bad in its actor-conversion story. There are no out-and-out villains in this film; just plenty of people with flaws. And it’s with sympathy for all of them, perhaps, that Jon Gunn makes his best case for Christianity, even for folks not completely sold on Christ Himself. What is it, apparently, about Jesus’s resurrection that helps these great Christian movies? Maybe it’s because his resurrection reminds us that Jesus is not distant-spirit, but God-and-Man, forever. Maybe it’s because Jesus as a forever God-and-Man validates God’s approval of his material universe. Maybe it’s because, when we value the material world, our stories necessarily do the same. And that way our stories do not view the material world as just a shell, or pretty wrapping for the real significant content of spiritual lessons. That way, our stories better tell us earthly things, so we can better believe heavenly things.